Infamous Catering is a bespoke food service company, so your party food will never be the same as anyone else’s. Our passion comes from Barney’s love of sharing mouth-watering food and a little banter with other foodies. Above all, our favourite clients are those who want a relaxed and sociable event. Those who appreciate great food. What’s more, your feast will be enthusiastically served by a convivial chef, who is happy to share his culinary secrets with you. If you love food, we’d love to work with you! We will work closely with you from start to finish, to create an exciting menu of party food especially tailored for your event. Ultimately, amazing food brings happy guests, great conversation, and a memorable celebration. We can cater for any type of party or celebration. 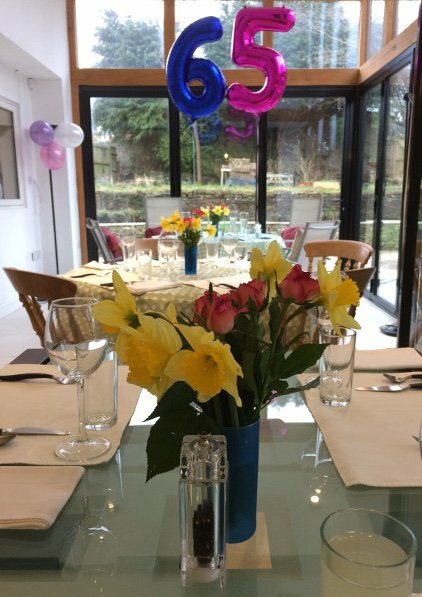 Whether you are looking for food for a birthday, anniversary, reunion… you name it, we can do it! Infamous Catering provides amazing ethical food for 12 – 200 guests at your wedding, party or function. We take our menu inspiration from each client’s story and the season. All our dishes are freshly cooked, using British and local produce wherever possible. Not only will our imaginative menus will be delicious on the day, but will certainly give you all something to remember and talk about. We are based in the Forest of Dean in Gloucestershire. If you’re looking for venue inspiration, we have some regular venues in this area which we can point you to. We can also cater for parties and celebrations in other nearby areas such as Gloucester, Chepstow, Ross-on-Wye, Newent or Monmouth. 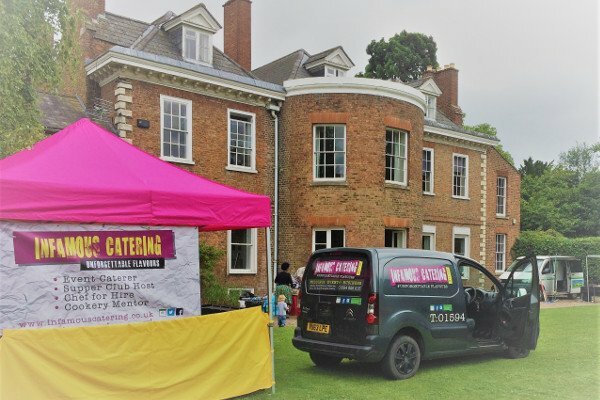 We can pop up and provide party food in all sorts of places, from village halls to marquees. If you’d like to discuss a venue idea for your celebration, just get in touch, and we’ll see what we can sort out! “What kind of party food can you do? 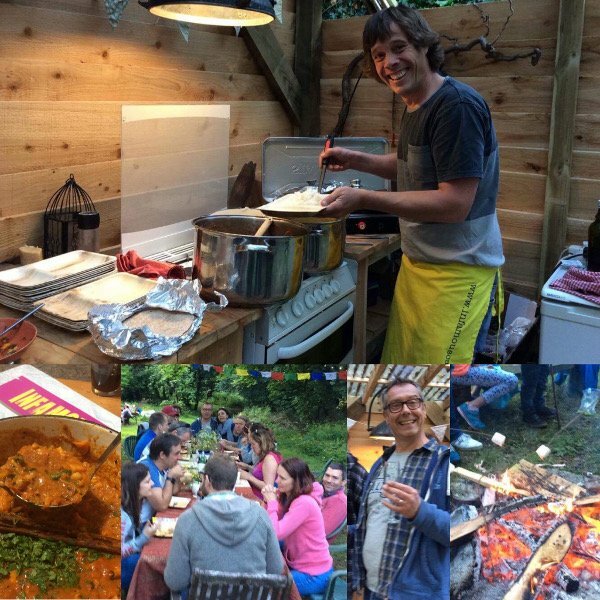 Infamous Catering is all about incredible fusion food that sits in perfect harmony with the Gloucestershire seasons. 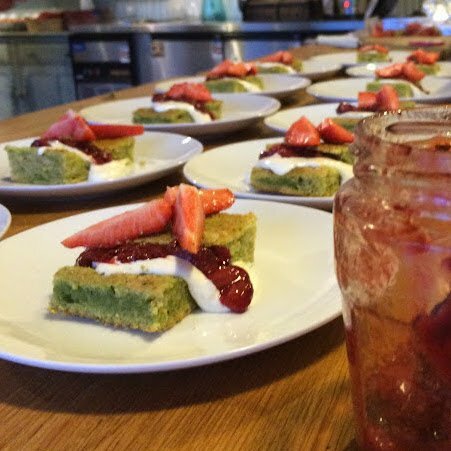 What we offer is far and away from the usual sit-down ‘samey’ party food. 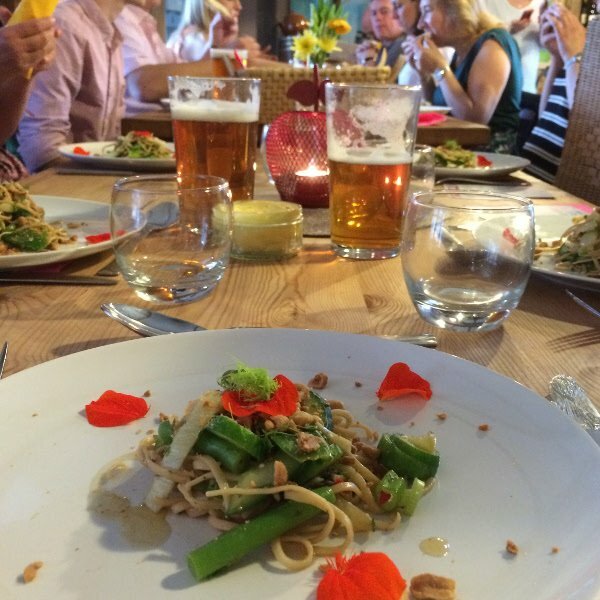 We will work with you to create a fabulous bespoke menu including produce that is local and in season, but also incorporating fusion foods from around the world. Our fun festival style service and #unforgettableflavours will be the talk of your guests for years to come. Why not take a look at our gallery page for some ideas of what we can provide for your party. Or just contact us now and let us help you plan a meal to remember.